While most celebrities were either at the 2014 Golden Globes or enjoying them from their Hollywood Hills mansions, one was getting real on Twitter. And no, we're not talking about Sarah Michelle Gellar. 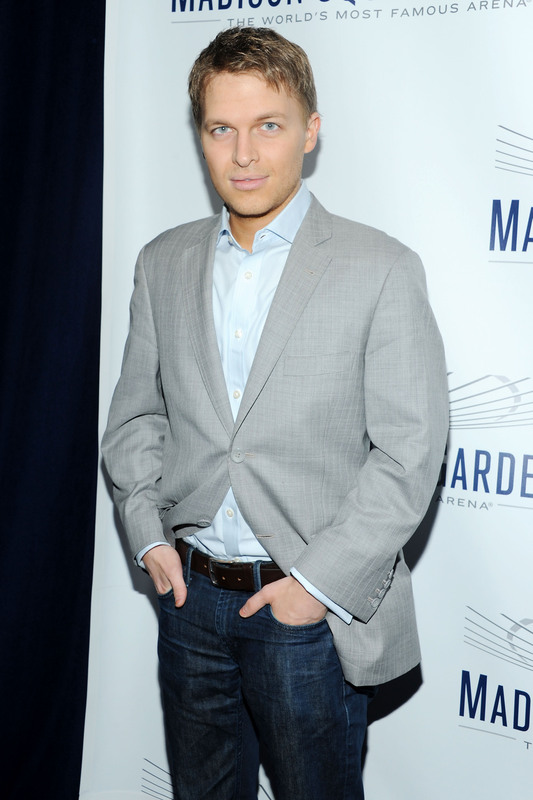 We're talking about MSNBC host Ronan Farrow, who slammed Woody Allen on social media. If you thought that Diane Keaton sings a Girl Scout song bit was awkward after the Allen tribute, you haven't seen anything yet. For those of you who missed this summer's most surprising slash unsuprising paternity case, it was revealed three months ago that Farrow's father might not be Woody Allen. Mia Farrow was in a long-term relationship with Allen when Ronan was born, but Mia Farrow told Vanity Fair that, uh, yeah, Ronan might be Frank Sinatra's biological son. Mia and Sinatra were together for two years before she married composer Andre Previn, whom she divorced and then got together with Allen. She and Allen adopted two children together, and had Ronan. Mia Farrow told the magazine that she and Sinatra never really broke up and Nancy Sinatra, Frank's daughter, admitted that they've always treated Ronan as a "big part of us." After the rumor about Ronan Farrow's father started circulating, all it took was anyone with two working eyeballs to decide for themselves that the chances Allen is Ronan Farrow's dad are slim to none. It almost makes you feel dumb for not seeing it sooner. Makes that Tina Fey burn against Taylor Swift look like a friendly hug, doesn't it? We've had a long history in Hollywood of forgiving the white man's sins. While headlines jump out about Chris Brown's abuse, rarely do you hear of Michael Fassbender's, a Golden Globe nominee, in fact, for Best Supporting Actor in a Motion Picture. Ronan Farrow said what we were all thinking — the Allen tribute felt wrong. As much as he's a beloved part of our cinematic history, there's a lot more to his story that we choose to overlook. And Ronan Farrow, for one, is done pretending nothing's wrong with that.